WHAT HAPPENED TO SACAGAWEA AFTER THE EXPEDITION RETURNED? after the Lewis and Clark Expedition. by historians and publicized in the middle of the 20th century. CONTROVERSY: WHEN DID SACAGAWEA DIE? 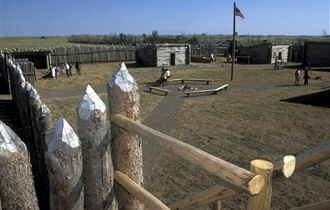 Missouri River, stated that both Sacagawea and Charbonneau were living at the fort. years of age in 1884. 15 men (Anderson, 1973). The survivors included John Luttig and Sacagawea's infant daughter. Charbonneau was presumed dead (Drumm, 1920). However, Sacagawea is not mentioned. Charbonneau, a girl about one year old." Source: Original Adoption Documents. Orphans Court Records, St. Louis, Missouri. August 11, 1813.
existence appears in William Clark's original notes written between 1825-1826.
she could not have died with the Shoshone as an old woman in 1878.
at the South Dakota trading post called Fort Manuel Lisa. Wyoming proclaims that she died at age 78, on April 9, 1884. It is based on two unsubstantiated beliefs. among them well into old age. historian [Grace Raymond Hebard] told me she was Sacajawea" (Schroer, 1970, 1977). Wishful thinking by a proud tribe may have understandably affected this web of miss-beliefs. 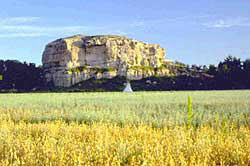 inhabit Wyoming at the time of Sacagawea's life. that her brother Cameahwait had become their Chief (Lewis, 1969). important details of her life and her death. the opening of the West gain the recognition they deserve. in the raid and she is not listed as being a survivor. Most historians today believe this is because she had died of an illness two months before the raid. of historians accept the December 1812 date. WHAT HAPPENED TO BAPTISTE AFTER THE DEATH OF HIS FAMILY? and back, as the Corp of Discovery searched for a path to the Pacific Ocean. own name and birthdate on the “Tower,” and this inscription is now covered in glass for tourists to see. 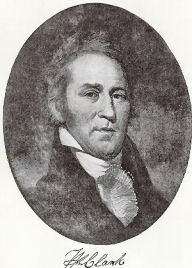 illness and his father and sister were killed in the Indian raid on Fort Manuel. the lifestyle of European royalty. trapping and exploring the Western frontier. clerk in a hotel in Auburn, California for 6 years. buried in the remote Jordan Valley near Danner, Oregon. Clark. New York: Heritage Press. R. G., Early Western Journals. Cleveland: A. H. Clark. Colby, Susan (2005). Sacagawea's Child, The Life and Times of Jean-Baptiste(Pomp) Charbonneau. Luttig, 1812-1813. St. Louis: Missouri Historical Society. 1783-1854. Champaign/Urbana: University of Illinois Press. Original Adoption Documents. Orphans Court Records, St. Louis, Missouri. August 11, 1813. Burial. Montana, the Magazine of Western History, 27, 2.